I recently had the pleasure of interviewing Antione Harvis of Dad’s League, a fatherhood program in Opelika, Alabama. Dad’s League partners with the Family Resource Center in Opelika and surrounding communities to serve dads. Dad’s League holds “locker room sessions” in which Antione and several teams of volunteer dads facilitate National Fatherhood Initiative’s (NFI’s) 24/7 Dad® A.M. and P.M. programs. Dad’s League facilitates the programs in five settings: community-based non-profits, corrections, schools, veterans, and faith-based. They will soon start to facilitate the InsideOut Dad® program in a county jail and detention center. When I asked Antione what is the primary job he has to accomplish with dads, he said that it’s to establish trust and rapport. He says that establishing a connection of trust first and then establishing rapport as the foundation of a good relationship with dads is critical to getting them to commit to attend locker room sessions. Building a relationship with dads before inviting them to attend the locker room sessions is an unusual approach. Most fatherhood programs seek to recruit dads into a program and then build a relationship as the program progresses. While both approaches can be effective, Dad’s League has found success with their approach and in particular with the non-custodial dads they serve. By providing help in these areas, Dad’s League meets these dads’ critical areas of need. These dads then have, as Antione says, new knowledge “under their belt” when they return to court. As a consequence, they see the value in continuing to work with Dad’s League on a voluntary basis and enroll in the locker room sessions. “We partner with organizations that can connect us with dads. In Auburn, for example, we partnered with a ministry called Our House that works with the local housing authority that does, among other things, tutoring of kids. We connected with them to reach out to the dads of the kids by doing a Super Bowl party to get some of the dads to come out. That's where we connected. It was an opportunity to meet and hang out with them in an easy environment. That opened them to committing to a long-term program. Introducing yourself to each dad before the first program session. Preparing each dad before the program begins for what lies ahead. Being friendly and smiling during each encounter with a dad. Being patient with dads so they can learn and grow at their own pace. Being humble as you recognize your own shortcomings and how they can affect your ability to effectively serve dads. 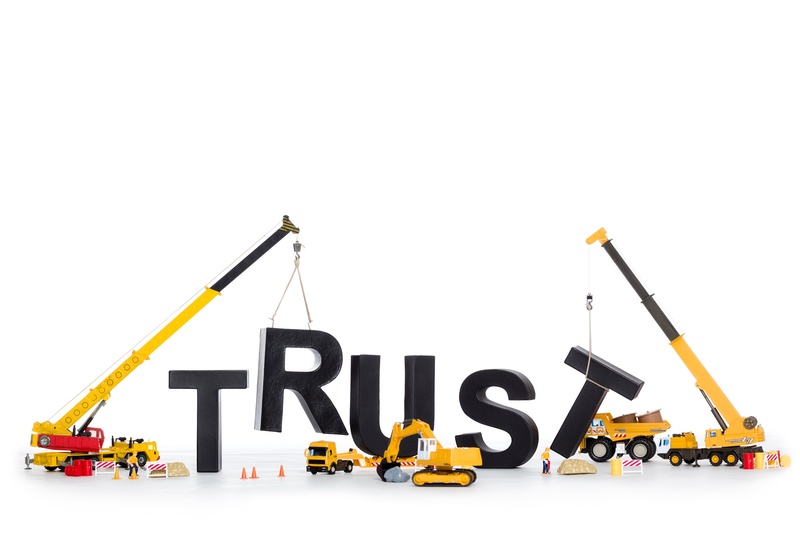 The importance of building trust and rapport is why NFI included the tips above and others in the affordable, online, on-demand Effective Facilitation Certificate™ training. This popular training—completed by facilitators in more than 60 organizations across the country—will make you an even better facilitator of any fatherhood program. Click here to learn more and to register. In what ways do you build trust and rapport with dads? Do those ways include meeting dads’ critical areas of need?